Baek Nam Bong (Song Chang Ui) is known as Dr. Frost. He became a professor in psychology at early age. He is extremely bright, but he has difficulties sympathizing with others due to an injury to his frontal lobe as a child. During the day, he now works as a counselor at the campus counseling center and at night he works as a bartender. 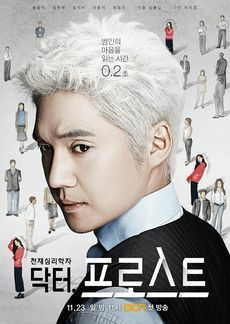 He then begins to work with a teaching assistant, Yoon Sung Ah (Jung Eun Chae) at the counseling center. Yoon Sung Ah is enthusiastic with the clients needing counseling. They work together to solve problems who go there for help.